False facts about Tesla giving him more credit than he deserves. In today's world of infotainment, web pages and documentaries have popped up proclaiming Nikola (Nicola) Tesla of being the inventor of practically everything. The more sites that pop up, the more reinforced false facts become. This is wrong because it denies respect for the true inventors of the technology, as well as over-simplifies history. If you love Tesla, prepare to get seriously upset as you realize you've been led on by mainstream media. The truth hurts but I hope your inspired to get deeper into the real history of this amazing era of early electricity. Nikola Tesla: dreamer, showman, NYC socialite and vain douchebag. His metaphysical speeches and grand demonstrations captivated the newspapers and wealthy but his actual contributions to engineering are limited. His narcissistic behavior leads him to not credit his assistants or co-workers for helping. He even fails to thank people on his "side" like Ben Lamme and Shallenberger at Westinghouse who took his useless induction motor prototype and redesigned it into something worth talking about (and selling). Didn't your mother tell you not to believe everything you read on the internet? So before you go back to the Tesla mania pages we suggest you go to a library and dig up some facts from books and patent applications, just as real historians have. Tesla's position as the god of pop science and fantasy is not just the product of the internet. As it turns out Tesla lived in Manhattan and was always ready to give newspapers his opinion on matters. Whereas other inventors and engineers were busy working in far away places like Pittsburgh and Schenectady (actually getting work done). Tesla loved to talk and dine with New York's elite. He used his position in the heart of mainstream media at NYC and worked, and still works well for him. The press were recently inspired by the the huge changes Thomas Edison had made for the world and everyone was looking to find the next inventor-god to give us hope, Tesla was one of the people they glorified. Oddly enough this eloquent speaking "blowhard" continues to dazzle audiences 130 years later despite modern science and math which shows he was wrong about much of what he said, and most engineers and scientists of the day were disappointed that he did not achieve the exciting ideas he spoke about. Lets look at the myths that media has created over the years below. This three phase generator and system by Dobrovolsky conclusively ended the War of Currents 1891. Tesla invented polyphase AC power, or some say AC power in general: FALSE. First there was a hand-cranked AC generator developed by Hippolyte Pixii in 1832. Single phase AC power was being used more in Europe by many inventors in the early 1880s. As early as the late 1870's Germany had developed a crude 2 phase AC generator. Galileo Ferraris, a scientist in Italy started talking openly about polyphase AC in 1885, one year later Tesla approached investors with his version of an AC system but did not succeed in generating interest. Ferraris also inspired Thomson at Thomson-Houston and engineers at Westinghouse to investigate the system however there was little confidence among investors in AC power at the time. From a world perspective there were many people working on AC systems over the next few years. August Haselwander and C.S. 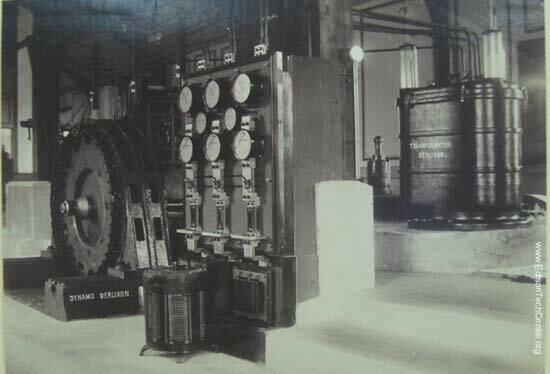 Bradley(a former Edison employee) created the first 3 phase AC generators(1887). Mikhail Dolivo-Dobrovolsky built the first full 3 phase AC generation and distribution system in the 1888-1891 period. Tesla to his credit was able to inspire Westinghouse to jump into AC, but very quickly Tesla's two-phase system was made obsolete by three phase systems which could more efficiently send power farther. The fact is that like today there are many people working on cutting edge technology and if Tesla had not gotten Westinghouse's attention in 1888, Westinghouse would have bought patents from others. Thomson was close to innovation on the AC system as well, and the world would be no different without Tesla, it may have just taken another year for polyphase to get adopted by Westinghouse or Elihu Thomson's company. Tesla invented the transformer: FALSE. The Ganz company in Budapest was the first to create and use transformers in AC systems in the late 1870s. Tesla was still in school then and hadn't even began his first job in the field of telephony. His first job was in Budapest in 1880, this is where he possibly observed/stole ideas, and was convinced by the Hungarians that AC was viable and worth pursuing while the West was still 5 years behind. Károly Zipernowsky, Miksa Déri and Ottó Bláthy invented the first transformer. William Stanley perfected the transformer in monocyclic and 3 phase AC systems. Tesla and his Westinghouse co-worker Oliver Shallenberger developed the transformer to work work with his 2 phase AC systems. Due to Tesla's egomania you will never hear him thank Shallenberger or cohorts. It was clear he was not a team player and it is no surprise Westinghouse didn't want him around for long. His technical contributions were appreciated and Tesla was generously paid by Westinghouse for his work. Shallenberger and others at Westinghouse benefited from Steinmetz's mathematics and were able to create a 3 phase system later on to replace Tesla's system. Above: Stanley's landmark transformer from 1885, the prototypes are located in Pittsfield, MA and another is on display at the Smithsonian, I've seen them both. Induction was discovered by Michael Faraday, and the induction coil was invented by Nicholas Callan in 1836, long before Tesla was born. Tesla invented the loudspeaker: FALSE. The loudspeaker as we know it was invented by C.W. Rice and Edward Kellogg with a working prototype in 1921, and patent in 1925. Decades before this final success, Werner Von Siemens had toyed with the idea of a magnetically controlled speaker while Tesla was in grade school. Tesla invented radar in 1917: FALSE. This one is a real can of worms, radar was made possible due to the work of Christian Hulsmeyer (German)1903, Lee De Forest 1918, Edwin Armstrong 1918, Ernst Alexanderson, Marconi, Albert Hull, Edward Victor Appleton, and Russians who developed a radar system to detect German planes in 1934. Sir Robert Watson-Watt demonstrated the first HF radar system in 1935 which operated at 6 MHz and had a range of 8 miles. There are many books on this subject. Tesla invented the fluorescent lamp: FALSE. Alexandre E. Becquerel first examined the phenomena of fluorescence in 1857. Some say Edison invented the lamps. Others say George Inman developed the modern fluorescent lamp in 1934. It is tough to say who was first since there was a legal dispute. There is a possibility that the German Edmund Germer preceded both of them. Many people worked on the concept, Inman deserve the credit for building the first successful and practical design. Even if Tesla had played with the theories, he was not alone at any time, and didn't do squat compared to others who had actually worked out the difficulties into a real working product. Daniel McFarlan Moore developed the Moore Tube which was the first commercial ancestor of the fluorescent lamp. 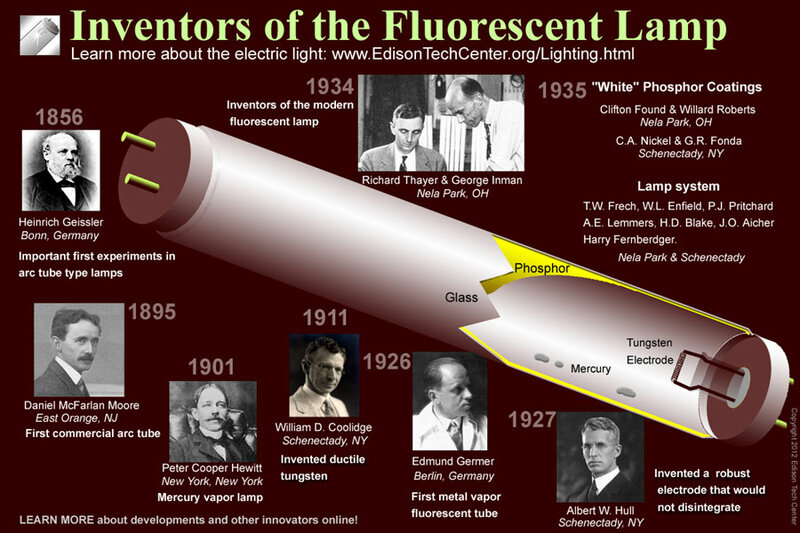 Above graphic: just some of the inventors of the standard fluorescent light. Missing from this graphic is Thomas Edison and Nikola Tesla who both contributed but were not key contributors. Tesla was more important in promotion and development of the of the induction lamp which also used fluorescence. Johann Wilhelm Hittorf, J. J. Thomson, Nikola Tesla, Peter Cooper Hewitt and John Anderson were the top 5 contributors making the induction lamp possible. Tesla invented microwave transmitters: FALSE. Albert W. Hull invented a type of magnetron which lead to many inventions, including today's microwave oven, the microwave communications link, and radar. You can dig deeper on this and find many early pioneers even before Albert Hull. The Edison Tech Center and Schenectady Museum have a lot of material on this era of history. The 1895 Niagara Falls Hydropower Plant was the first commercial AC hydro power plant: FALSE. This is absolutely false. AC power sites were developed first in Europe from 1878-1885. After 1885 Westinghouse hired Stanley, Oliver Shallenberger, Benjamin Lamme, and others to build AC power systems in North America. Tesla didn't join Westinghouse until 1888. See our list of early AC power sites here. The Redlands Power Plant build in 1893 was the first 3 phase AC power plant built for commercial purposes in North America. Elihu Thomson, Almirian Decker and Dr. ,Louis Bell worked together to design this site a few years before in Lynn, Massachusetts. 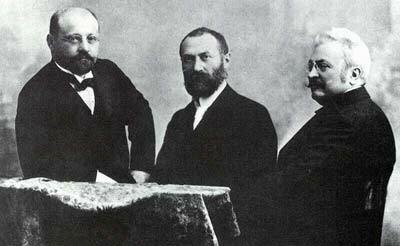 Dobrovolsky had build the first full hydroelectric three phase AC power system at Frankfurt in 1891. Also, at the time Charles P. Steinmetz was the only one to understand the concept of hysteresis and related physics concepts that helped run the AC generator. Steinmetz was a humble man, and like many technical men, loved teaching and connecting to other humans just as much as the technology. People with a teaching spirit have often let others take the fame and patents. Fame and business success are the focus of only a percentage of engineers. The love of the craft is common among all of them. Tesla was the underdog who did not promote himself: FALSE. If you begin to read at all about history of technology at the time you will find that inventions and ideas spread like wildfire from as far east as Hungary and Moscow, to the U.S. For someone like Edison or Tesla it was important to keep up the show and wizardry to captivate the public. And they both did that very well. In the ruthlessly competitive environment of New York City the game was, (and still is) about fame/success at any cost. Tesla, when living on Fifth Avenue was at the epicenter of this pressure. Tesla was business natured, he understood he had to relentlessly promote himself to become like the more successful Edison. Most inventors at the time did not have the relentless need for attention that both of them had. Back in the late 1800's the conflict for AC vs. DC was Tesla vs. Edison, or Westinghouse vs. General Electric: FALSE. General Electric was formed in 1892 and by that time Thomas Edison had a minimal role in the workings of the company. While Edison promoted DC power from his home down in New Jersey/New York City area, Elihu Thomson, William Stanley, and C.P. Steinmetz promoted AC as the future. The company was not "for DC". Tesla and Edison did not get along, that's true... but of course! Popular media likes to promote the AC vs. DC conflict in a simple easy-to-digest package simply because all the Mass Communication majors and journalists have been taught that the public loves to watch and read about conflict. One page reads: "Edison also hated Tesla because Tesla invented..." and so on, the quote highlights once again the conflict aspect. If conflict and drama is your focus of interest, than study the World Wrestling Federation, not engineering. Tesla was first to patent the 3 phase AC motor in the USA 1888, but read on: Galileo Ferraris had come up with the same design months before in Italy, and Ferraris had talked about the motor as early as 1885. Ferraris was a university professor with no interest in making money from the invention. We know that Tesla was extremely intelligent and was able to memorize entire books after reading them. It is entirely possible that Tesla had obtained a copy of Ferraris's publication to the Royal Academy of Sciences in Turin and was able to understand Ferraris's design. He would be able to copy and clarify the design on paper and submit that to the patent office with the help of Tesla's well-paid team of lawyers. If this was the case than it is just another case of how businessmen with their well paid lawyers have crushed an academic person's claim on being the first. History was almost rewritten here but documents have proven Galileo's claim. Tesla had no evidence to support his self-made claim that he envisioned the motor in 1882. In addition to this Mr. Ferraris had a track record of being an innovator in the greatest events of European AC development in the early 1880's. Tesla had limited experience in AC and was not picked up by Westinghouse until 1888, after his claim of inventing a poly phase motor. Read more on the trial here. Many Tesla fans claim a conspiracy theory stopped Tesla from making "free" electric power distribution wirelessly. First of all infrastructure is still needed and there is no way power will ever be "free". Wireless power distribution is not practical since it is extremely inefficient with huge losses over even a short distance. The final killer of Tesla's idea is the enormous danger of wireless power transmission for wildlife (birds) and damage to humans. Given the big debate on danger of cellphones to humans, and cellphones contain very low power levels, you can only imagine the danger of high powered wireless transmission. Tesla vs. Edison - An attractive human story, but this isn't engineering. Tesla left Thomas Edison's company frustrated and short changed. This is a popular story, but Tesla wasn't the only one who left Edison the same way. As the Tesla popular myth states: Tesla had approached Edison with the idea of trying AC development, and Tesla was the lone visionary, however Edison scoffed and said AC would never amount to anything. The truth is he wasn't alone. Others approached Edison and got the same results. C. S. Bradley had worked for Edison, he was convinced about AC's future, he left and invented the three-phase generator in 1887. Otto Blathy who invented the ZBD Transformer in Hungary came on a business trip to meet Edison in 1886. He tried to sell his patent to Edison, again, Edison scoffed at him. This was clearly a poor business decision because by this point Westinghouse had already built and demonstrated a working AC system at Great Barrington, Mass. 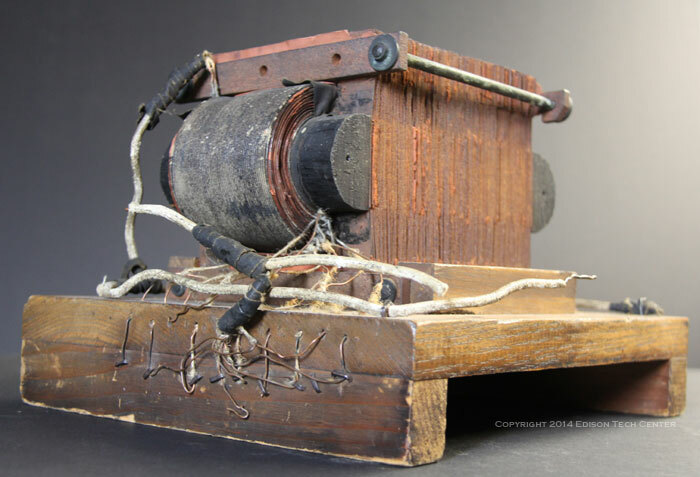 Elihu Thomson of Thomson-Houston in Massachusetts was already trying to build his own transformer. Another element in the Tesla vs. Edison debate which Tesla fanatics use to energize support for their "cause" is the electrocution of Topsy the elephant in 1903. Thomas Edison or his PR team, working independently of General Electric wanted to show the dangers of AC power by killing this innocent animal. Tesla is unlikely to have done the same to his credit, but most people in the population at the time had little regard for the fair treatment of animals. It is unlikely Edison stood out from other innovators who used animals to test medical treatments or conduct painful experiments. It was clearly a dark time for animals in industry. In 1903 General Electric had already been making revolutionary new AC power systems for 18 years and had some of the world's best engineers working on AC. Tesla fanatics are more known for their passion than their "historian" side, they fail to have the slightest understanding of the business atmosphere at the time or the wealth of OTHER great minds working on AC. While Edison was living in the past in 1903 promoting DC, the company he created which had led to the formation of General Electric (1892) was already a leader in AC power. The board of directors cast off Edison as unable to work in a team and a nut just as Tesla was cast off by Westinghouse as "unpredictable" and a nut who would sink the company financially with non-practical pursuits. Edison and Tesla were independent inventors and had a lot in common. Contrary to the garbage that Tesla scholar tell you Thomas Edison actually stood up for Tesla at times. Edison used his influence to stop a damaging article about Tesla from getting published as he knew of Tesla's insecure personality. Edison feared that the article would send Tesla off the deep end into depression and that it would hurt his work. Edison actually encouraged Tesla at times and hoped Tesla could solve current problems including the design of a better x-ray. Edison respected Tesla's work on high frequency power and like many people of the day hoped that Tesla would deliver on breakthroughs which he promised. Back to Topsy the elephant: So who cares if Edison the nut was still promoting DC in 1903? Siemens-Halske, General Electric, Oerlikon, Westinghouse had already moved on into an AC world. There was no War of Currents in 1903. That war had ended in 1891. Tesla was no "lone visionary" of AC power, he was simply smart enough to keep his eye on great developments of AC in Europe during the early-mid 1880s. He was one of a small group (the minority) of engineers working on AC in America in the mid 1880s. Tesla's first opportunity to work for a real company on AC power came after he "stole" or simultaneously invented the polyphase electric motor in 1888. At a public presentation Elihu Thomson and Westinghouse both thought that Tesla had potential. Thomson (later became GE) offered him a lower position to start. Tesla's ego lead him to decline the opportunity. Lucky for him later on Westinghouse offered him a position with his already established team of engineers working on AC. Westinghouse then got control of Tesla's induction motor patent which helped make them hundreds of millions of dollars. When the induction motor patent was contested in 1905 Westinghouse put it's best lawyers to work defending this cash maker. Let the induction motor fall into public domain and make Tesla loose credibility? The corporate might of Westinghouse would never let this happen! I could go on listing all of the false attributions and conspiracy theories regarding Tesla, but this would be a waste of time. The important thing is painting a true picture of ALL the wonderful and amazing personalities of technology in our history. 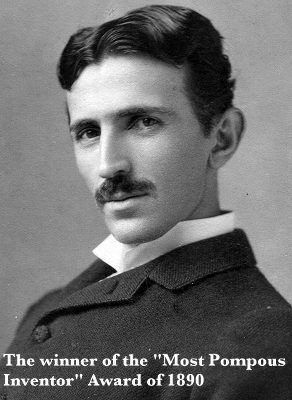 Nikola Tesla was an inventor, and did share a love of engineering and science. And for this he deserves to be honored, but don't fall for the populist rhetoric. I'd recommend visiting the Deutsches Museum in Munich where many of the original first motors and dynamos are on display with accurate listings of attributions. 2015: Interestingly enough one of the largest sources of exaggerated Tesla history in the last few years was a cartoonist (Mr. Inman) who runs the website "The Oatmeal". A cartoonist (a guy with no engineering, legal or historian background) born in 1982 on the wrong side of the continent felt the liberty of making passionate statements about New York's electrical history based on crap he read on the internet. After a Forbes article by Alex Knapp about the myths of Tesla inspired by this Edison Tech Center article came out, the cartoonist attacks Knapp in the arrogant and cynical style typically demonstrated by the worst of US-born Millennials. Mr. Inman, like many comedians seems to be fundamentally unhappy and finds an outlet through humor. Oddly enough his behavior is similar to Tesla's in that he reacts in a nasty fashion if someone challenges his ideas, even when they mean well.